Hello i bought the Oled display from mouser. It is on the way. Mouser part number is NHD‐1.5‐128128UGC3 link is http://www.mouser.com/ProductDetail/Newhaven-Display/NHD-15-128128UGC3/?qs=sGAEpiMZZMvHnN%252b%2fGH9WnRoJMEv7X8ZRc2IqbjW%2fbEY%3d there are 20 pins and i do not know which one to use for the arduino. or Which library to use for arduino can someone please help me? You will need to select a interface that best supports your needs. Finally the example code can be configured to support multiple interfaces (See line 48). Thank you very much for the information I will try it when I get my display. Hello is there a simple text sample i can try with this oled? 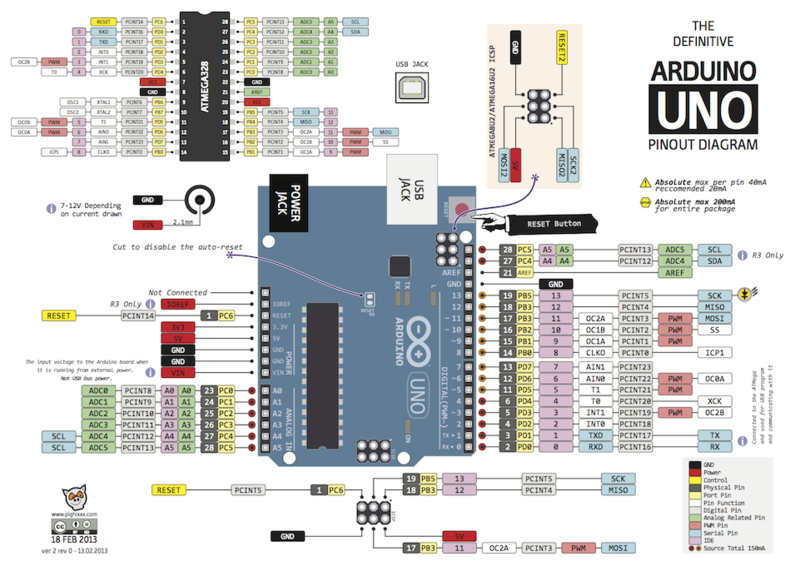 There are plenty of user created Arduino Libraries written for the SSD1351 controller. I recommend searching in google for "SSD1351 Arduino library". Hello Paul i was wondering if there was a schematic of this display and what parts are being used i would like to somehow integrate this oled into my project? can you please help me out? I'm sorry, unfortunately we do not have a public schematic available for this display. Not a problem just wondering that is all the way it is now is okay Something down the road in the future may need to have it on the same board as my micro processor that's all. I just received my Oled in today 20 pins on it. and i looked at the datasheet for the pinout but I'm a little confused on it. 2 VDD Power Supply Supply Voltage for OLED and logic. Tie LOW for 3‐wire Serial Interface. 16 /RES MPU Active LOW Reset signal. 17 /CS MPU Active LOW Chip Select signal. 19 BS1 MPU MPU Interface Select signal. 20 BS0 MPU MPU Interface Select signal. i figure out some pins like the VCC and VDD and a few others but I'm using a uno board for test and i need help figuring out what pins go where can someone please help me on that. Hello Paul I'm still stick which pins from the display does to my Arduino Uno board to make it work? Can you please help me out? Thank you. Be sure to take special note of the MPU Interface Pin Selections table, see page 4. Pin BS0 & BS1 will determine the interface selection. E.g. In your case when using the 4-wire SPI interface BS0 and BS1 will both need to be tied LOW (GND). Finally, you will need to modify the Arduino_OLED_128128.ino file so it selects the correct interface. Sense there is so many pin layouts for this oled this is what I'm confused about because it says pin 19 and pin 20 on page 5 of the datasheet says for the 4-wire it says VDD - Ground. Now on page 4 of the datasheet in the serial it says pin 19 and pin 20 is Ds1 and Ds0 this is a bit confusing for me. So i do not know which pinout to follow or if the sketch pinout define is wrong i do not know. On page 4 its telling you that pins 19 and 20 are control pins that tell the display what interface it should expect. Using the last table on page 4 you can see that when both pins are tied to ground or logic 0, the display will behave in a 4 line SPI interface. Again the locations on the sketch are backwards. In general the sketches are drawn to show how the pins should be wired, and the pins wont be in the same location. You should always use the Interface Description to get accurate Pin locations. So you should have most of the pins tied to ground like the third image on page 5 suggests, and only 5 wires going from the Display to the digital outputs of the Arduino. for the rest that need to either be tied to ground or Vdd you should just get a breadboard and use the output from the Arduino for ground an Vdd and tie them together.